Description: This all purpose anti-biotic formula is used to treat colds, flus, congestion, infection, and all communicable diseases. 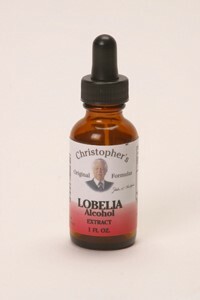 this formula was designed by Dr. Christopher to treat bacterial and viral plaques. Ingredients: Fresh Garlic Juice, Mullein Leaf, Wormwood Herb, Lobelia Herb, Marshmallow Root, White Oak Bark, Black Walnut Leaf, Skull cap Herb, Gravel Root, Plantain Leaf, and Aloe Vera Gel in a pure vegetable glycerine, pure apple cider vinegar & Raw Honey. Do not use during pregnancy or give to small children except as directed by your health care professional. Store in a cool‚ dry place. Keep out of reach of children.